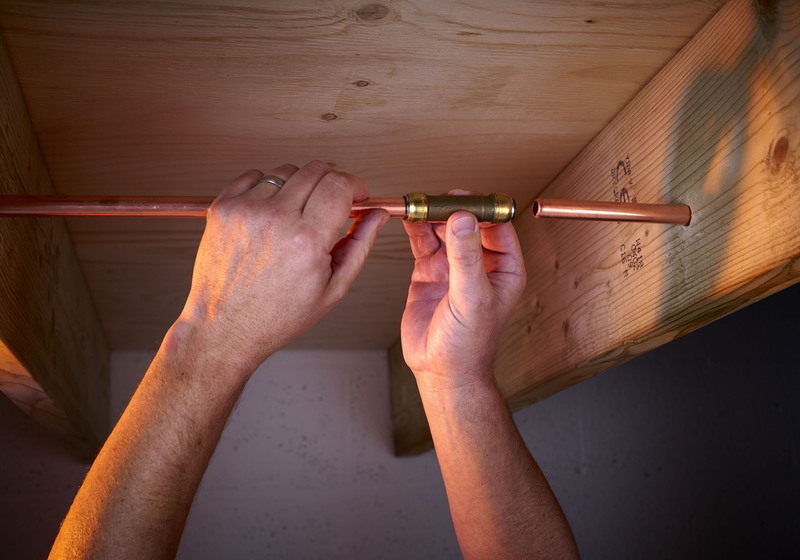 How many times has a customer called you out to a leak because they have put a nail or a screw through a pipe or a pipe has split during the winter freeze? Whatever the cause, repairing such damage permanently and reliably is now possible in a matter of minutes, thanks to the simple, yet ingenious Slip Couplings from the SharkBite range of push-fit plumbing solutions. SharkBite Slip Couplings are the UK plumbing industry’s only ultra-low lead, brass push-fit repair solution that can be used on different types of pipe. Compatible with copper, carbon steel, PEX or polybutylene pipe, SharkBite Slip Couplings do not require heat for installation. The simple push-fit ends enable quick, permanent repairs, even in wet conditions. So there is no need to waste time looking for the stop tap and draining down the whole system. Slip couplings are available in sizes 15 to 54mm and thanks to their slim-line body design, they are the ideal solution for repairs in confined spaces such as ceiling voids or behind walls. SharkBite Slip Couplings are the essential pipe repair solution to keep in the van in case of an emergency call. Extending existing pipe systems is quick and easy too, with SharkBite Slip Tees. Available in sizes 15mm to 54mm, these unique fittings incorporate an extended run (slip end) that enables a retrospective line extension to be installed using the same installation process in just minutes. All SharkBite fittings are pressure rated up to 6 bar at 95oC, WRAS approved and guaranteed for 25 years. Watch a video of how to make a repair using SharkBite Slip Couplings visit our Resource Page. To keep up to date with the latest SharkBite news follow us on facebook (/sharkbiteuk) or twitter (@SharkBiteUK).